Attorneys in our insurance litigation practice have been extensively involved in resolving insurance-related disputes since 1975. 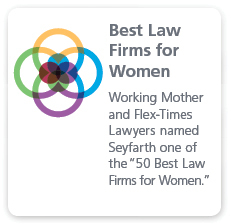 Seyfarth Shaw has represented most of the major insurers in the United States, in addition to our representation of insureds, self-insureds, reinsurers and insurance trade associations, in a wide variety of matters. Our attorneys have litigated cases arising out of group and individual health, life and disability-income insurance policies, in federal and state courts throughout the country and at all levels of the appellate process. 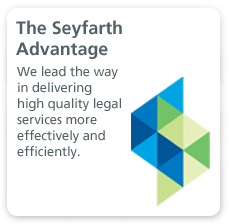 Seyfarth is committed to helping clients identify and resolve issues that can increase the possibility of litigation. We work with executives and employees throughout client organizations to improve their performance and professionalism. Recognized leaders in the field of insurance litigation, our attorneys are regularly asked to make presentations before bar and professional groups on subjects such as the Employee Retirement Income Security Act (ERISA), litigation practices and expectations, product-liability and insurance-coverage principles, and bad faith and punitive damages laws, among others. 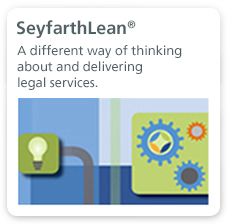 We encourage dispute resolution via alternative processes such as mediation and arbitration. Working aggressively on behalf of clients, we seek restraining orders and preliminary injunctions when appropriate, and work with client staff to prepare them for depositions and trial testimony.